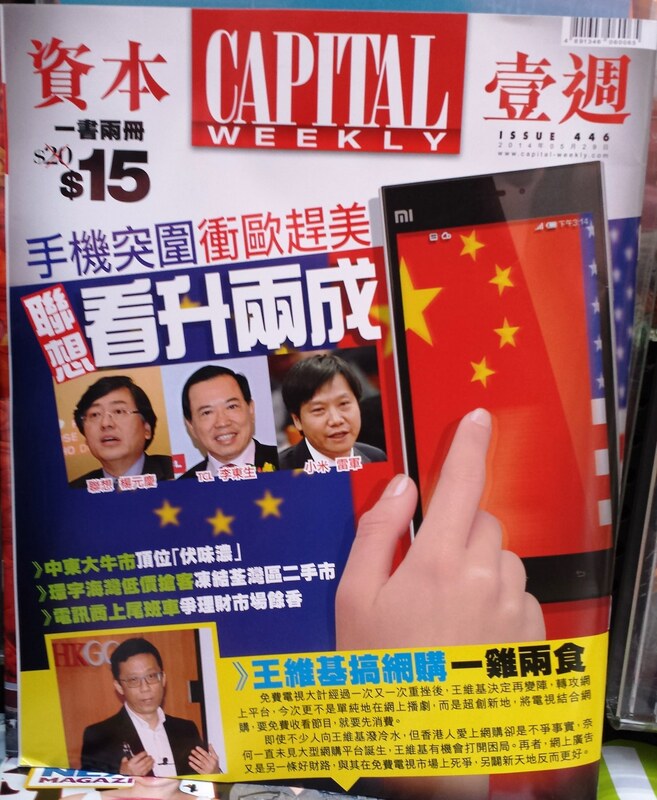 So Klose was interviewed by a local Chinese finance magazine "Capital Weekly" in Issue 446, 29 May 2014 to discuss the situation of the single elites finding life partners in Hong Kong. For details about the interview, please Click Here. So Klose, one of the past award winners of JCI Innoative Entrepreneur Award, will share the post-award experiences and thoughts in the recent issue of iMoney. Please note that, due to office renovation is still in progress for the week of 2 December, the door access system, internet & server set up and office telephone system have not ready for use yet. Sorry for any inconveniences may cause. Kindly expect a delay in our responses during this time! Thank you. HONG KONG, Nov. 20, 2013 /PRNewswire/ -- So Klose, a multi award-winning Hong Kong dating and matchmaking services company, is pleased to announce that So Klose has been honoured with The Hong Kong's Most Valuable Companies Awards 2014 -- The Most Reliable Dating and Matchmaking Services Company, presented by a globally recognized media consultancy, Mediazone Publishing Group, which is considered to be "The Oscars of Hong Kong's Business World". This year, to honor companies with special contributions, Mediazone specially named some of the winners, highlighting their leading positions in their respective industries. 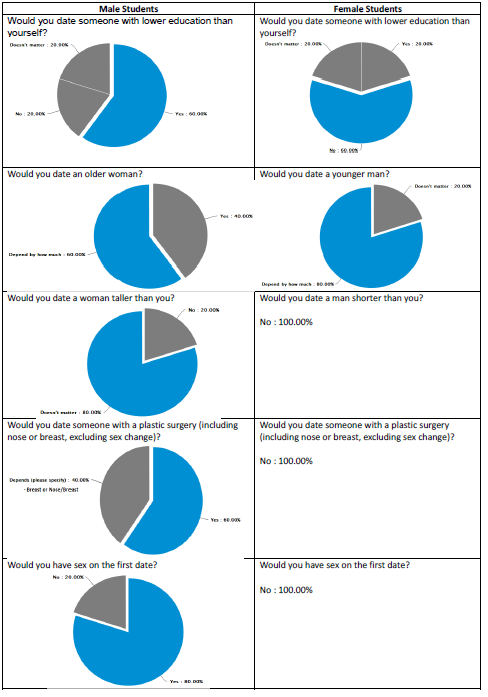 So Klose earned extra commendation for its outstanding contributions and is in particular the sole dating and matchmaking service provider to win the award. 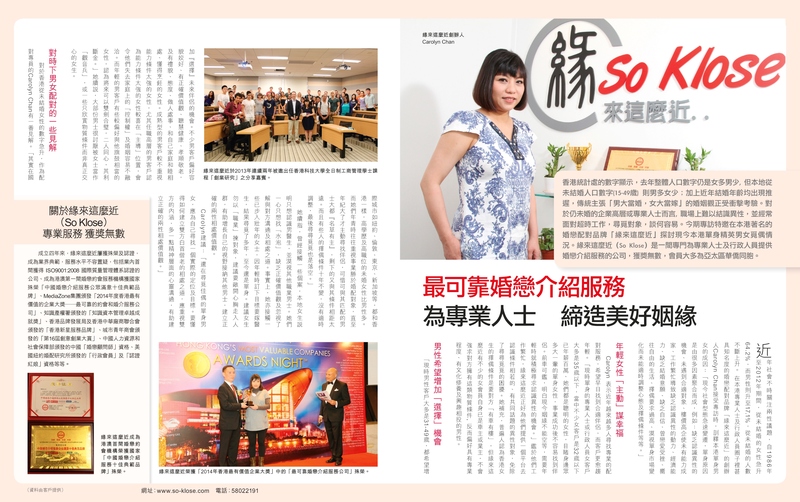 Ms Carolyn Chan of So Klose received "Hong Kong's Most Valuable Companies' Trophy of Excellence Awards -- Most Reliable Dating and Matchmaking Services" for the company. The Hong Kong's Most Valuable Companies Awards Presentation Ceremony was successfully held on 14th November 2013 at The Tamarind. 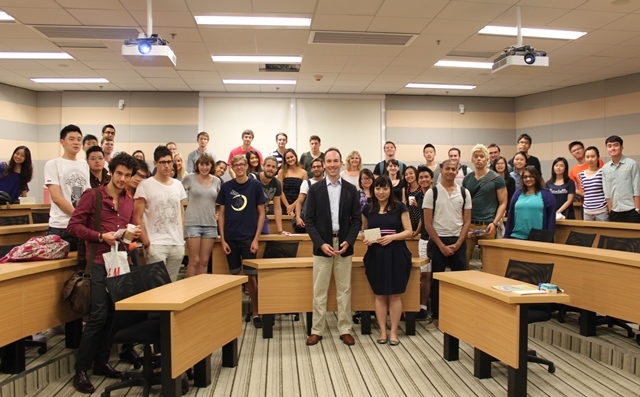 More than 300 guests attended the prize presentation ceremony. The guests included editorial judges, the CEOs, investors, managing directors, and chairmen of big foreign and local brands and representatives from the winning companies. The central theme for this year's award is "RELIABILITY" (i.e. Hong Kong's Most Reliable Brands). 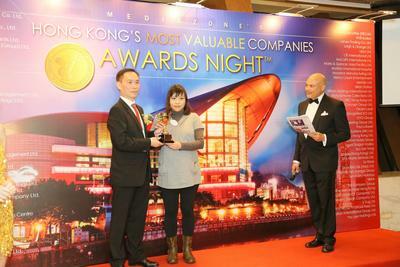 The "Hong Kong's Most Valuable Companies" award has been created for over a decade, showcasing the territory's most proactive industry leaders to recognize brand reliability, market leadership and industry achievements in Hong Kong. There are quite a number of award categories, including banking and finance, property developer, IT, hotels, insurance, jewelry, automotive, public service, travel agency, dating and matchmaking services company, etc. So Klose® went through an initial screening by the editorial panel of writers, editors and research analyst, who will shortlist leading companies for each major business sector from insurance to luxury to health to business services, and selects the most valuable brand for each category that best represents the market. The judging criteria will be primarily based on industry recognition and reputation, brand reliability, quality and efficiency of customer service, contributions to the industries in Hong Kong and mainland market, innovation, the devotion to the best business practices, corporate social responsibility, quality of management, performances in the past years, market leadership and so on. So Klose® is providing matchmaking, dating, and personal introduction services to single elites. Most of the members are well-educated, high-income earners, executives working overseas, professionals, and entrepreneurs, etc. 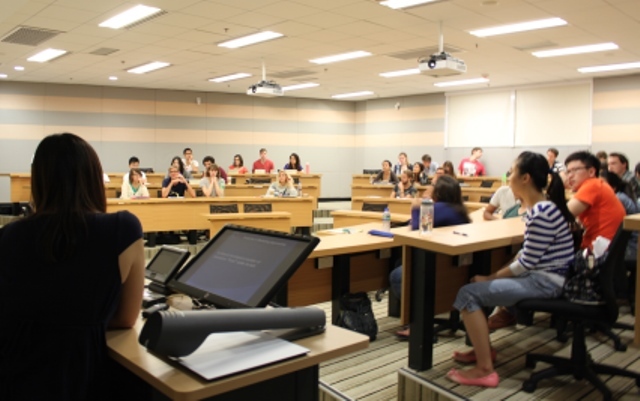 The majority of its members (97%) hold university degrees; most male members (73%) and about half (44%) of the female members have studied abroad. 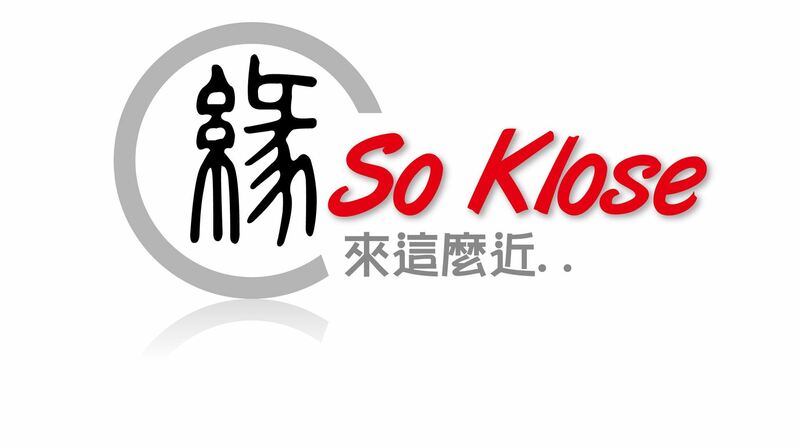 So Klose® has received first-time industry awards repeatedly, such as: the "China's Top Ten Model Brands in Matchmaking, Dating and Personal Introduction Services"; "16th Tao Heung Innovative Entrepreneur Award"; "2011 Hong Kong Emerging Service Brand"; the ISO9001:2008 QMS certification, first within the industry in Asia, and the "Intellectual Capital Management Excellence Award", etc., as well as the "national matchmaking consultant" qualification awarded by the Ministry of Human Resources and Social Security of China, and the "Executive Member" and "Certified Matchmaker" qualifications awarded by the Matchmaking Institute of New York, USA. 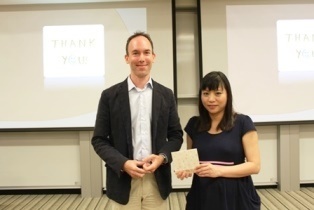 Professor Stam (left) of HKUST presented a souvenir to Ms Carolyn Chan of So Klose after the talk. The 2013 (9th) China Enterprise Credibility and Competitiveness BBS Summit was Held in Beijing. 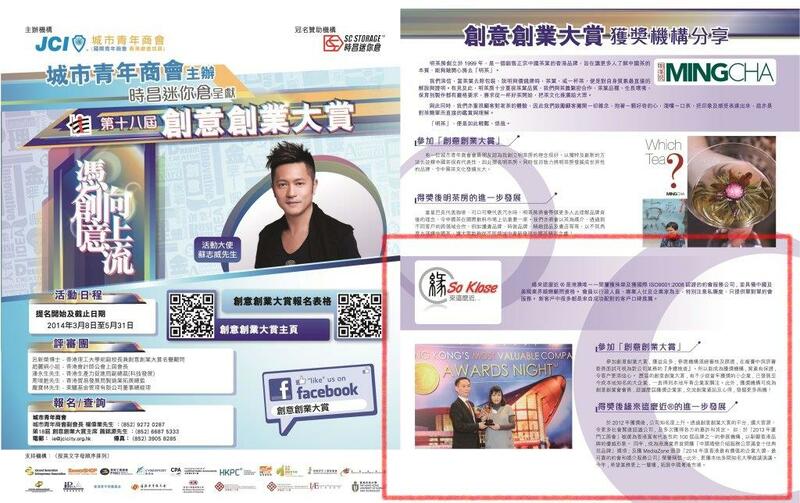 So Klose becomes the first matchmaking and dating services company in Hong Kong and Macao to receive this state honour. BEIJING, May 24, 2013 /PRNewswire/ undefined The award-winning So Klose, a Hong Kong dating and matchmaking services company with innovative achievements in services and quality, has just won the award of “China’s Top Ten Model Brands in Matchmaking, Dating and Personal Introduction Services” in Beijing. The award is organized jointly by media organizations including the organizer, the “Economy” magazine, the Credit Rating and Certification Centre under the Research Institute of the Ministry of Commerce (AITEC), China Trade News, the Market Research Center of the China International Economic and Technical Cooperation Association (CAPC), and the China Economy Innovation-Development League (CEIDL), and is widely recognized within the industry. 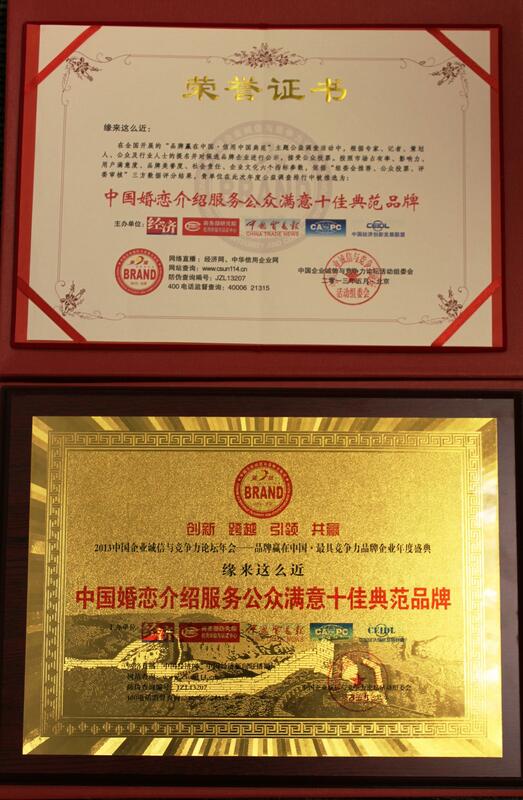 The annual award ceremony for the “Winning Brands in China undefined China’s Most Competitive Brands” under the 2013 (9th) China Enterprise Credibility and Competitiveness BBS Summit was held at the Great Hall, Beijing, in the afternoon of 19 May, 2013. 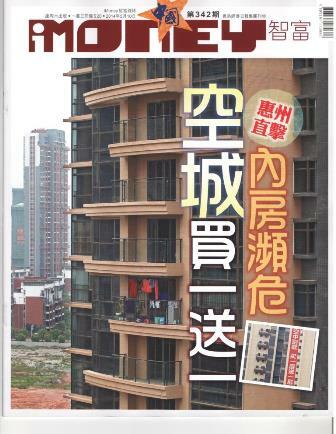 This year, the slogan for the event is “Building a Credible China, Winning World Respect”. 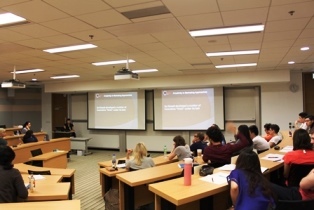 Using “innovate, surpass, lead, and win-win” as the main theme, and through different activities such as guest speeches, and interactive dialogues, the summit has come up with the most influential and competitive brands in 2013. With the consensus of the judging panel of the China Brand Competitiveness Annual Meeting, So Klose has been awarded the honour of “China’s Top Ten Model Brands in Matchmaking, Dating and Personal Introduction Services”. As an emerging brand in matchmaking and dating services, So Klose is the only company in Hong Kong and Macao which has been awarded this special honour. Over 300 guests attended the event, including VIPs such as: He Keng, Deputy Director of the Finance and Economic Committee of the 11th NPC, Vice Chairman of the All-China Federation of Industry & Commerce, Deputy Secretary General of the National Committee of the CPPCC, Bao Yujun, special researcher from the Councillor’s Office of the State Council, Hou Yunchun, former Deputy President, Development Research Centre of the State Council, Deputy Secretary-General of the Economic Daily, Kang Julin, General Office Director, the former Deputy Secretary General of China Consumers’ Association, Wu Gaohan, news spokesperson, Chen Zhiqiang, President and Chief Editor of the “Economy” magazine, Niu Fangli , Deputy Chief-Editor of China Trade News, Chen Xiaolin, Vice-President of the “Economy” magazine, Pu Xiaolei, Deputy Director of the Credit Management Department of the Ministry of Commerce Research Institute, Huang Fengrong, Chief Editor of the China Economic News Network, Chief-Editor of chinapolicy.net, Zhang Huaxia, Vice-Chairman of the China Wisdom Engineering Association, Deputy Secretary General of the “Economy” magazine, Sun Chongming, Director of the China Brand Communication & Research Centre, as well as Li Guangdou, well-known brand strategy expert and brand consultant for CCTV, have attended the forum. Around 300 entrepreneurs from across the country gathered together to share the joy of the “China’s Most Competitive Brands” award ceremony. Other attending guests include members of the judging panel, the organizing institutions, academic support institutions, and media organizations. Since 2002, the annual China Enterprise Credibility and Competitiveness BBS Summit has been held consecutively for 9 years at the Great Hall in Beijing. Each year, the event has been widely supported by related leaders and different sectors in the society, and has been attended by leaders of the NPC Standing Committee, the National Committee of the CPPCC, as well as related departments and committees. The forum is in line with international practices and laws and regulations, using market monitoring measures to conduct quantitative analysis and comprehensive evaluation on survey data and statistical indicators such as the enterprise’s credibility, whether its quality and quantity are always up-to-standard, whether its services and systems are sound, and on this basis, award credible enterprises which meet such evaluation criteria with this honour. At the final stage, enterprises will be rated based on the six indicators of market share, influence, customer satisfaction, brand reputation, social responsibility, and enterprise culture, and based on the final rating from three areas – recommendation from the organizing committee, public votes, and review from the judging panel undefined a total of over 200 brand enterprises have been selected as “China’s Winning Brands undefined 2012-2013 China’s Most Competitive Brands”. Therefore, this is certainly the most prestigious domestic award for outstanding enterprises. This forum has been jointly reported by close to 50 media, including People’s Daily, Xinhua News Agency, Guangming Daily, Economic Daily, CCTV, BTV, Phoenix Satellite TV, Science and Technology Daily, China Daily, China Business Journal, China Securities Journal, 21th Century Business Herald, China Business Times, China Business Herald, Economic Information Daily, China Information News, China Economic Herald, China Industry News, China Reform Daily, China Quality News, Global Times, China Entrepreneur, China Electronic News, China Consumer News, Wenweipo, people.com, xinhuanet.com, ce.cn, ifeng.com, sina.com, sohu.com, QQ.com, hexun.com, 315e.org.cn, logo365.com.cn, and has been broadcast live on ce.cn and the China Economic News Network. So Klose® is committed to providing matchmaking, dating, and personal introduction services to executives, using innovative methods to come up with good solutions for matchmaking. Most of the members are well-educated, high-income earners, executives working overseas, professionals, and entrepreneurs, etc. The majority of its members (97%) hold university degrees; most male members (70%) and half (48%) of the female members have studied abroad. 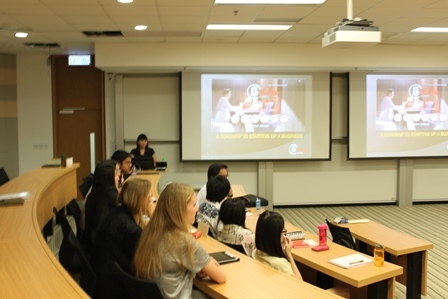 The income of 47% of the male members is classified under the top 5% among Hong Kong’s population, while that of 46% of the female members’ is classified under the top 18%. So Klose® has received first-time industry awards repeatedly, such as: the “16th Tao Heung Innovative Entrepreneur Award”; “2011 Hong Kong Emerging Service Brand”; the ISO9001:2008 QMS certification, first within the industry in Asia, and the “Intellectual Capital Management Excellence Award”, etc., as well as the “national matchmaking consultant” qualification awarded by the Ministry of Human Resources and Social Security of China, and the “Executive Member” and “Certified Matchmaker” qualifications awarded by the Matchmaking Institute of New York, USA.